Intertwine Interfaith is an initiative to build positive relationships while learning more about other faith communities. In a world where divisiveness may seem like the norm, we strive to celebrate both our similarities and differences with members of various faiths and backgrounds. Congregation Shaare Emeth, Parkway United Church of Christ, and TASOM invite you to celebrate an interfaith Tu B’Shevat. Tu B’Shevat is a Jewish holiday that celebrates the New Year of the Trees. The holiday celebrates the beauty and gifts we receive from trees. In modern times, themes around the environment and ecology have been included in the celebration. As an interfaith community, together we will experience what our Jewish, Christian and Muslim neighbors see in their own sacred texts about caring for nature and thus each other. When you make your reservation, you will be asked to bring a fruit or vegetable-themed dessert to serve 6-8 people. We will share these desserts as part of the evening. There is no dinner. Please also bring fresh fruits and vegetables that do not require refrigeration. We will donate these offerings to Project Downtown, an organization that dedicates each Saturday to feeding neighbors in need. 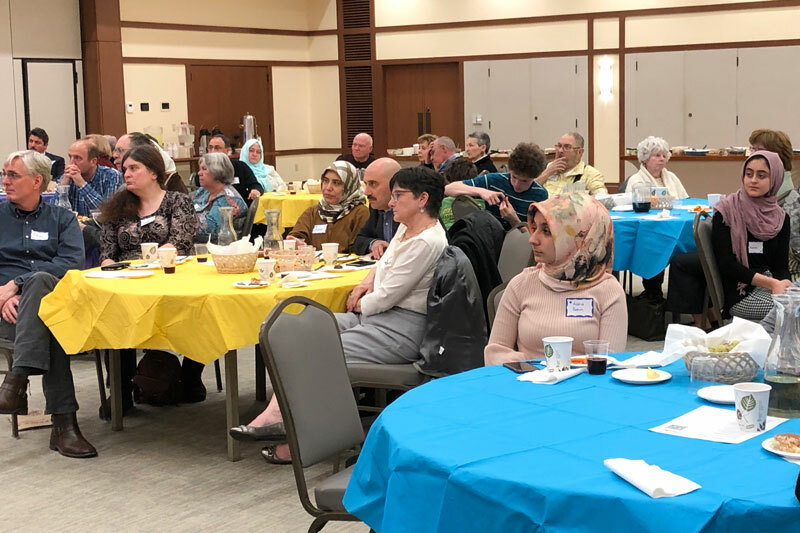 This program is partially underwritten by the Harvey and Leanne Schneider Interfaith Forum and is offered through Intertwine Interfaith Initiative, founded by PUCC, in cooperation with Interfaith Quest.